We always want to marry the person we love, when we do fall in love with some one. But falling in love is not very difficult, getting married tot he person is a difficult task in the first place itself. The KP Rule for love marriage says that if the 5th cusp sublord is significator of 7 and 11 then there will be a success in love marriage. 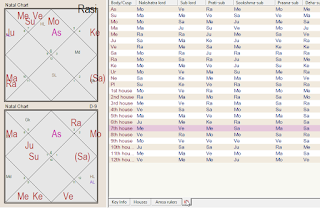 In this horoscope the 5th cusp sublord is significator of 5th house , 11th house and 7th house thus it was a very easy love marriage decision for the both. The seventh cusp sublord is Mars placed in 5th house and it is aspecting the 11th house. 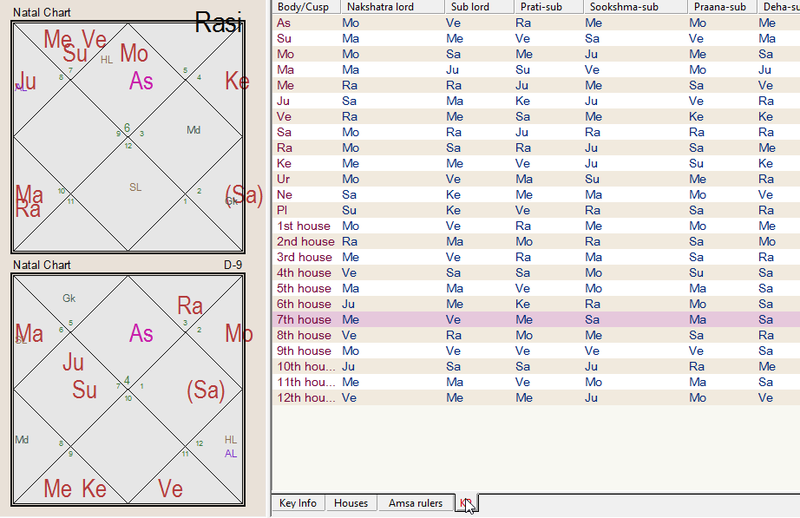 It is in the sub of Jupiter which is the lord of 7th house thus Mars is connected with 7th and 11th house completing the equation. For horoscope consultation wattsapp 7566384193 for charges and process.